An electromagnetic pulse (EMP) attack is a threat few Americans are familiar with, yet one which could easily destroy their lives. What would you do if your electricity suddenly went out and didn't come back on for months or even years? How long would you last with the food in your pantry, the bottled water you have shelved, and your net worth reduced to the cash in your pocket? These are the factual consequences of an EMP attack. A single EMP attack could disable all modern electronics in the United States, eliminating communications, food, water, transportation, medicine distribution, and our financial system. You will need to recognize the scenario and be prepared for the ensuing catastrophe. Tragically, those who have not prepared most likely will not survive. An EMP, either produced by a nuclear detonation or naturally-by solar flare will one day likely occur. What is presented above is not crazy doomsday philosophy, it is a very real and frightful call to action. It is an urgent plea to you: inform yourself, plan ahead and take the simple precautions which could make a life and death difference in a nation-wide catastrophe. You must become your own authority on the subject! Our mission is to inform and aid our neighbors in surviving an EMP attack. We have striven to provide you with as much useful information as possible. We have provided links to government reports and hearings, should you wish to do your own research. 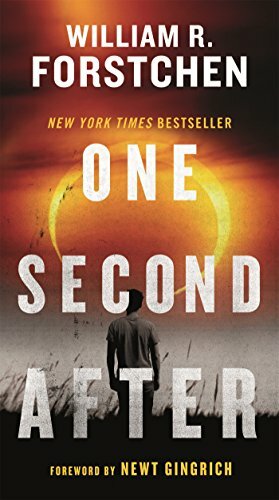 If you are not convinced, walk yourself through such an event by reading "One Second After" by William R. Forstchen — the read may well change your life. EMP is a potentially devastating threat to every life in this great land. This is a scenario well-respected scientists have been predicting for some time and one that becomes more likely with increased global tension and our own technological dependence. If survivability were possible through simple disaster preparedness and basic understanding of the situation, how could you not justify taking those actions on behalf of your family and your country? You owe it to yourself and your loved ones to at least consider the threat. — William R. Forstchen, Ph.D.